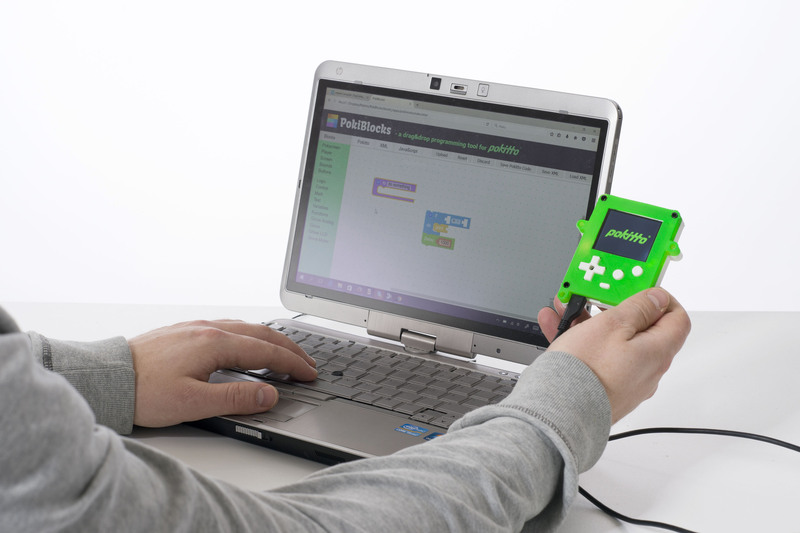 Pokitto can be bought ready-made or as a simple kit – if you want, you can build your OWN Pokitto! 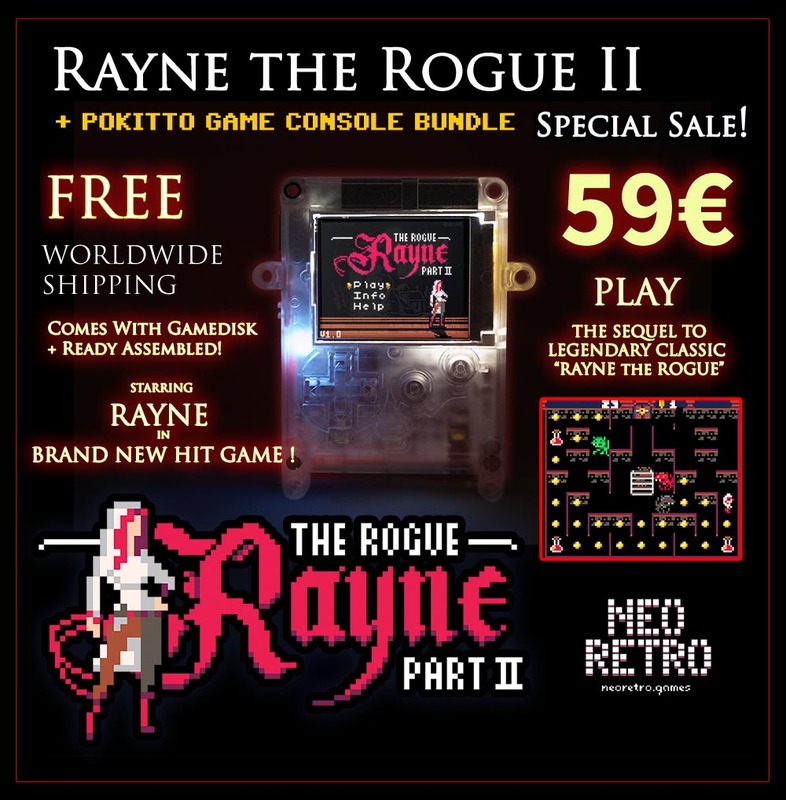 With POKITTO you learn by playing and looking at open-source games and applications. 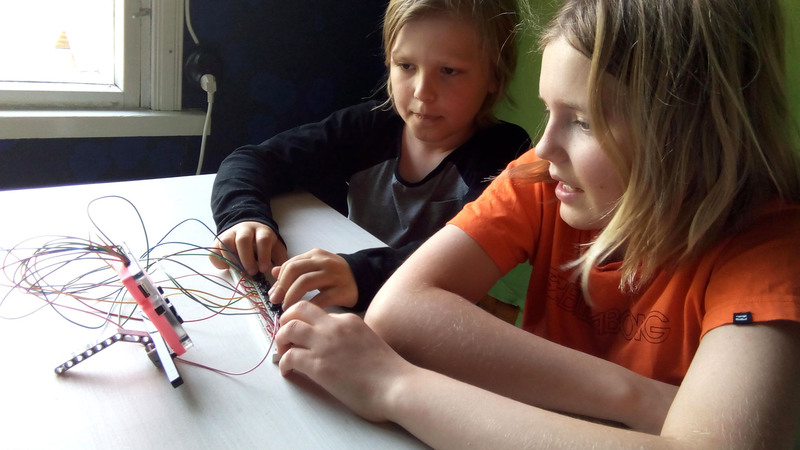 Then create your own programs and move on to build intelligent gadgets – it’s a motivating way of learning for both kids and adults! 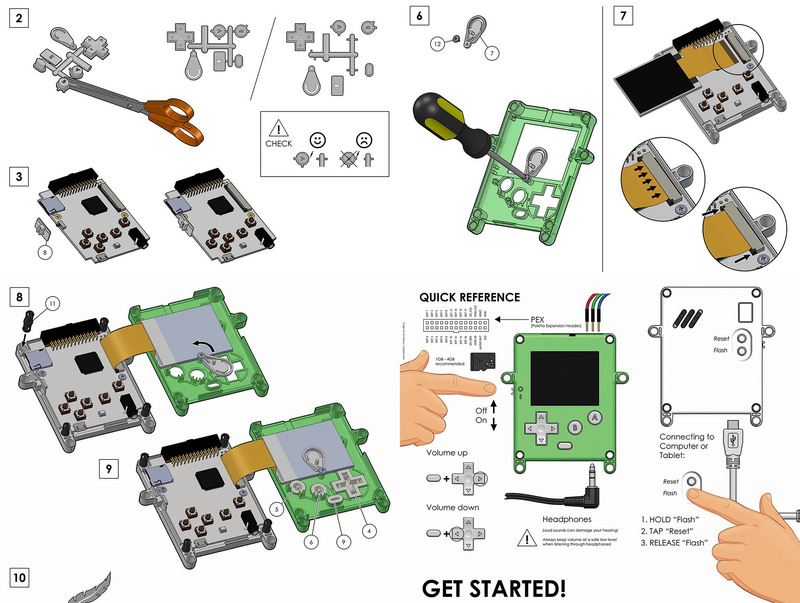 POKITTO is a Do-It-Yourself gaming gadget, that you assemble and program yourself. 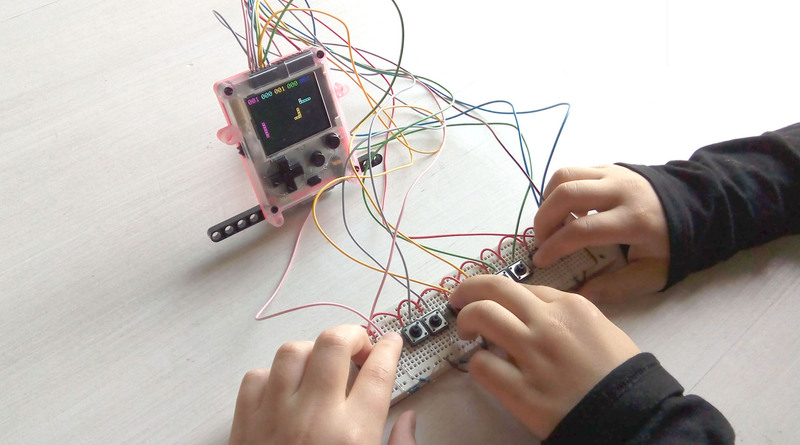 With Pokitto, you can learn programming & building electronics in a fun way! We have a very active and helpful community. Beginner and expert questions are all treated with equal respect! If you make a programming mistake, you can always get the device working again! Pokitto is a full-featured ARM development platform. If you learn to program the Pokitto, you have inside knowledge on how smart Internet of Things gadgets really operate. There will be TENS of BILLIONS of devices like the Pokitto in our homes, cars and workplaces in the near future. We believe the future will be better if not just engineers but kids, teachers, and ordinary people of all kinds of background are able to design the smart future. Pokitto is our contribution to this vision.